I spent last Thursday in Savannah. I went there to learn more about two of the world’s first 1:1 iPad initiatives from the architects of those ambitious projects. We met at St. Andrew’s School, the site of one of the projects. I received a warm welcome at the main office and then spent part of the afternoon with Gil Webb, Pete Smith and Larry Tremblay of St. Andrew’s, talking about the iDiscover21c initiative. All were friendly and forthcoming about the challenges of starting and supporting a major iPad rollout. Fraser Speirs from the Cedars School of Excellence in Scotland was also visiting St. Andrew’s as part of a whirlwind tour of cities, sights and schools along the eastern seaboard. I’ve written about Fraser and his work and was happy to arrange some time together to talk with him personally about the Cedars experience. Cedars was the world’s first school to go 1-to-1 with the iPad. St. Andrew’s was the first stateside. What can we learn from these pioneers? It’s worth noting both St. Andrew’s and Cedars are private schools. Are private schools inherently more agile than public schools when considering technology integration at this scale? All of us agreed that fewer layers of bureaucracy and a simpler decision-making hierarchy certainly contributed to the rapid approval and adoption of the project. Please don’t misunderstand. The approval for such an undertaking didn’t go unchallenged. All the stakeholders required explanation and exhortation. This was especially true at St. Andrew’s, the larger of the two schools. Gil, Pete and other supporters had to build a compelling case. Still do, as they encourage faculty to integrate the device into daily routines and reassure concerned parents the iPads are more than game machines. I believe the project leaders of St. Andrew’s would freely admit the rollout wasn’t perfect, but the communication strategies, contact with constituencies and staff development planning they described certainly contributed to the success of the deployment. Before the iPad project began, both schools were also what might be described as technology challenged. The installed base of technology included six year old computers, little and/or old network infrastructure, the single computer classroom and too few laptops to share among too many teachers and students. Sound familiar? St. Andrew’s accrediting agency also had twice noted the lack of technology at the school. Yet both St. Andrew’s and Cedars viewed these circumstances as opportunity. Without a large installed base or recent significant investment in technology, they had the chance to radically and deeply change the role of technology in teaching and learning. So why choose the iPad? What distinguishes the iPad from all the educational technology devices that came before it? I asked Fraser that question directly. First is size. Apple’s tablet is easily held, shared and stored away when not in use. Previously when students wanted to show or share their screen to others, the teacher or peers needed to go to the machine. Now the machine comes to them. Unlike desktop computers or even notebooks, what needs to be seen and shared is easily transported and passed around. Intel refers to this as “micro-mobility” or the ability for students to carry around computers in much the same way they carry around paper and pencil. Next, consider battery life. One of the primary complaints I’ve heard from teachers about laptop or notebook computers is that batteries won’t last the day. Taking time for recharging, hunting for electrical outlets, stringing electrical cords and waiting for startup takes too much time away from actual use in the classroom. The iPad can last through the school day and is ready to go almost instantly. It gets out of the way rather than in the way. Finally, the iPad is versatile. It occupies what Ian Wilson calls the “agile space” among technology devices. The iPad adapts well to a number of subjects and learning situations. Each app remakes the iPad into a different tool and there are hundreds of useful apps for education. The iPad becomes the app. For example, a drawing app transforms the iPad into an artist’s palette and canvas. Fraser showed me a great example of this. If you ever hear him present, be sure he shows you what Cedar’s art teacher and her students are doing. Project leaders from St. Andrew’s will be presenting at the Georgia Educational Technology Conference (GAETC) this week. Fraser has a number of speaking engagements planned. Seek them out if you can. They have much to teach us about going 1:1 with iPads. Thanks to the staff of St. Andrew’s and to Fraser Speirs for graciously sharing what they have learned and are learning on the leading edge. Why? What is the belief of this project. If the goal of this project is to upgrade the 6 year old tech, then your mission is accomplished on day 1 and there is no further followup required. What are the intangible thoughts and what will the school do to support those unseen beliefs? Is there a website we can review these thoughts on the project? Fraser continues to document the Cedars School project at his blog http://speirs.org/ His focus has shifted from deployment to integration into teaching and learning and his recent posts reflect that emphasis. I wrote about the iPad as a social tool shortly after I got one in my hot little hands: http://www.ovenell-carter.com/2010/04/23/the-ipad-is-a-social-tool/ Good to see this idea developing. I currently run a school with a 3:1 program ( iPhone, iPad & MBP) and would like to compare notes. On the subway in Stockholm right now–got to go! Brad – Thanks for commenting. Visit to your site confirms your first-hand experience with students and the iPad, so you too have much to offer readers. Can connect with you through another channel if you wish to continue conversation. Fraser is documenting the Cedar School project at http://speirs.org/ and my contact at St. Andrew’s tells me he and the students are planning a series of interviews to share with a wider audience. 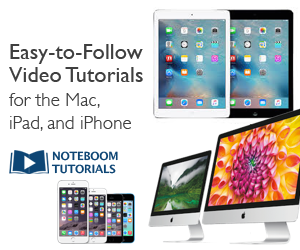 ← Welcome to the New iPad Academy!